Day #5 of our After Holiday Sale! 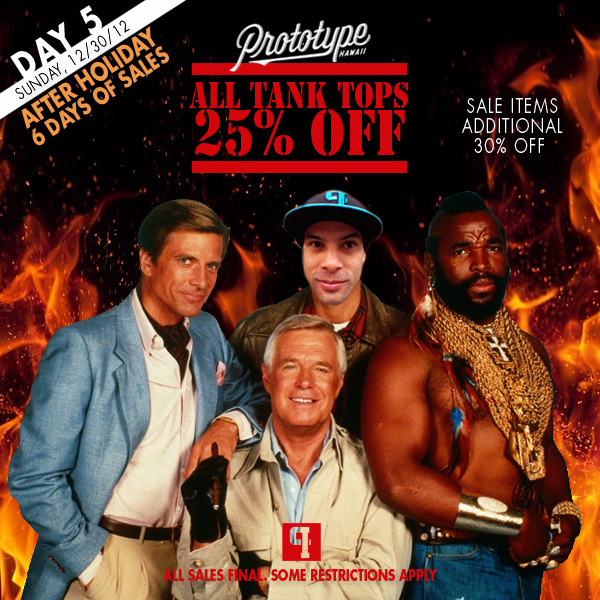 All tank tops in stock is 25% off and all sale items are an ADDITIONAL 30% OFF the lowest price. Just a reminder that these specials are specials one day sales.